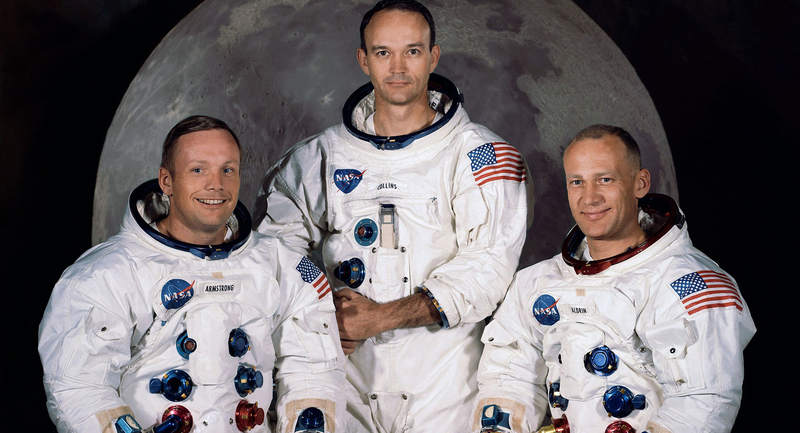 Apollo 11 astronauts Neil Armstrong, Michael Collins and Buzz Aldrin in their official NASA portrait. The film will be shown at The Varsity on Sunday, April 28. “Apollo 11” is a close look at NASA’s Apollo 11 space mission to land on the moon, led by commander Neil Armstrong and pilots Buzz Aldrin and Michael Collins. The documentary features never-before-seen, large-format film footage from one of humanity’s great accomplishments, which took place in 1969. “Apollo 11” is rated G and runs 93 minutes.